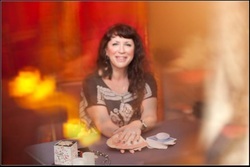 Learn to Read Tarot - Workshops for NEW & Developing Tarot Readers!!! Have you always wanted to learn to Read Tarot for yourself and others? Imagine being able to tap into a Universal Language of Ancient Symbols that gives you the answers to your questions and can help your friends and family on their journey through life? Tarot does NOT have to be confusing OR take months to learn!!! In ALL of my Tarot Courses, you will learn to Read Tarot without the aide of the "Little White Book", without complicated spreads or rules or the details and misconceptions that can keep your NATURAL abilities at bay! My classes will GIVE you the information and support needed to get you Reading Tarot quickly and easily! My Classes and Workshops are for absolute beginners as well as any developing Tarot Enthusiast who wishes to develop NEW reading skills! What Will I Learn? You'll learn about all the cards in the deck, how to Read each card, how to do a basic spread, how to create your own spread, and, you will also do a Reading before you leave! You'll also get an in-depth, fascinating look at EACH of the suits of the Tarot, from the Major Arcana to the Coins, Swords, Staves, & Cups. Every student will learn a NEW, simple, fun Tarot Spread, you'll Read for another student AND receive a reading from a fellow student too! YES...hand-outs too!!! Yes...GUIDED meditation too!!! INTERESTED? See Below for the next date...or...if you own a studio and wish me to come teach...please drop me a line! Students-You are required to BRING YOUR OWN TAROT DECK! If you have questions about which deck to bring, please email me for suggestions! Currently...I offer two different types of Reading classes...A one-Day Tarot "Boot Camp" and a 3- Class Series for Readers of ALL Levels! Imagine being able to tap into a Universal Language of Ancient Symbols that gives you the answers to your questions & can help your friends and family on their journey through life? Tarot does NOT have to be confusing OR take months to learn! In my "3 Hour Tarot" Course, you will learn to Read Tarot without the aide of the "Little White Book", without complicated spreads or rules or the details and misconceptions that can keep your NATURAL abilities at bay! In this class you will receive the information and support needed to get you Reading Tarot in just THREE HOURS using education and Intuition! This course is for absolute beginners as well as any Tarot Enthusiast who wishes to refine or learn NEW reading skills! You'll learn about all the cards in the deck, how to Read each card, how to do a basic spread, how to create your own spread, and, you will also do a Reading before you leave! Hand outs are given! The cost is $80 payment via PayPal Per Student and MUST be made IN ADVANCE of the WORKSHOP. YOU MUST BRING YOUR OWN TAROT DECK! If you have questions about which deck to bring, please message me for suggestions! Ready to a Bigger Challenge? My "3 Week Tarot Boot Camp" Course is for YOU! PERFECT for those who took my 3 Hour Tarot Workshop...IDEAL for newcomers to Tarot or those in practice who wish to learn a NEW way to read! Every class begins with a positive chakra opening meditation, then clear, EASY to understand instruction about EACH suit and the Major Arcana of the Tarot Deck! You'll do 'drills' to get you comfortable doing readings for yourself and others and SO MUCH MORE! There will be written hand-outs to take home, EASY to use Spreads taught every week AND...you will read for other students AND receive a reading from one of your classmates EVERY week! Enrollment in this series is purposely LIMITED to assure that all students receive PERSONAL attention! ($175 cash or payment by check, credit card/PayPal payments are $180). You need to bring your own Tarot Deck. If you do not own one, please feel free to email for recommendations!